The Boa constrictor is a species of large, heavy-bodied snake. It is a member of the family Boidae found in North, Tropical Central and South America as well as some islands in the Carribean. Boa constrictor has long been famous as one of the largest species of snake. In reality, Boa Constrictors are fairly modest-sized boids and are dwarfed by the other competitors for this title. The maximum length reported in Boa constrictor was slightly over 4 meters. Individuals are generally between 2 and 3 meters in length, although island forms are commonly below 2 meters. Boa constrictor coloration and pattern are distinctive. Dorsally the background color is cream or brown that is marked with dark saddle-shaped bands. These saddles become more colorful and prominent towards the tail, often becoming reddish brown with either black or cream edging. Although heat-sensing pits are common in Boidae, they are absent in Boa constrictor. Thus, this species is presumed to have no specialized thermosensory abilities. The teeth of boa constrictors are aglyphous, meaning they do not possess any elongated fangs. Instead, they have rows of long, recurved teeth of about the same size. Boas are non-venomous. 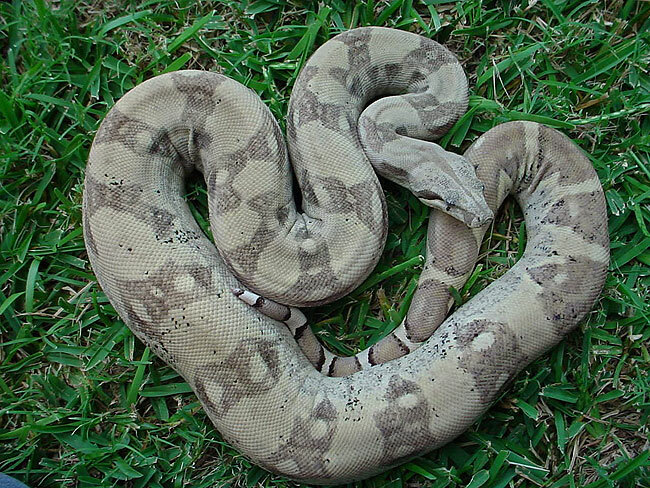 Boa constrictors are solitary, associating with conspecifics only to mate. However, Dominican populations which will occasionally den together. 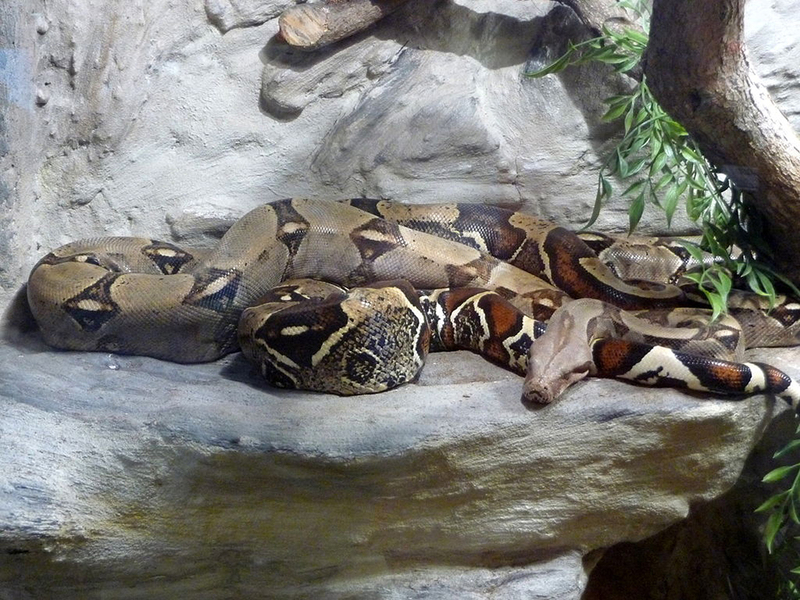 Boa constrictors are nocturnal or crepuscular, though they bask in the sun to warm themselves in cool weather. Boa constrictors are popular in the pet trade. It is easy to obtain boa constrictors that have been captive bred for generations, increasing their affinity for humans. They are relatively undemanding pets, as long as their large adult size and space needs are accounted for. 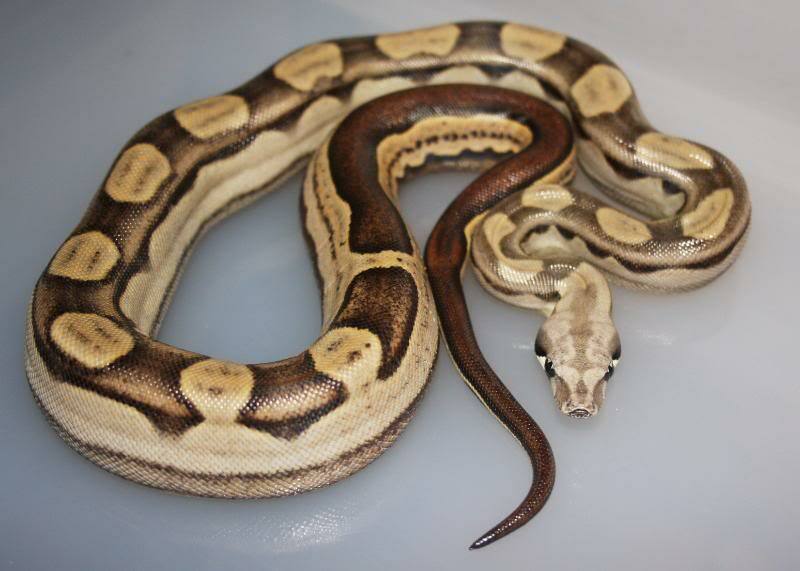 The range of stunning colour morphs and patterns that are now available is only increasing there keeping as a pet. 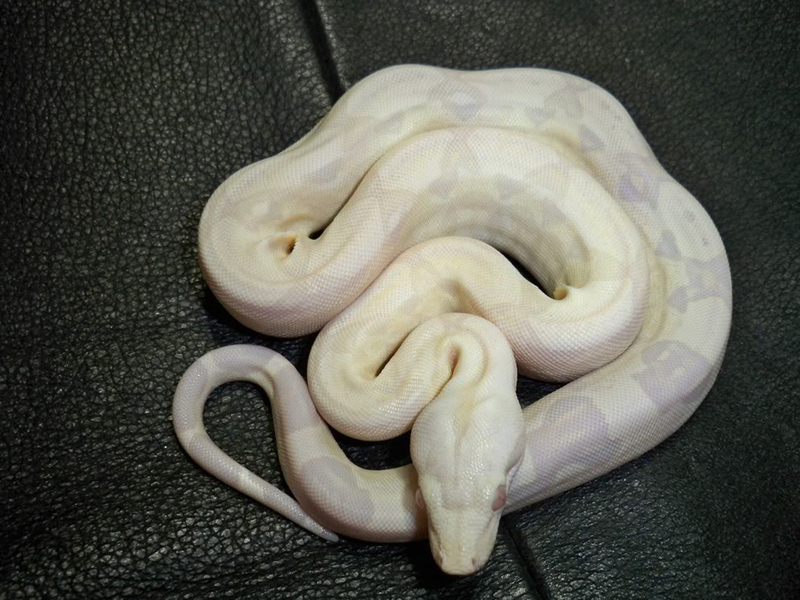 For a list of many of the stunning Morphs out there you can visit www.snakesandmore.blogspot.co.uk for a very comprehensive guide. Click HERE for a Boa Constrictor care sheet.